HEBRON, Ind. (WLS) -- An Indiana woman is paralyzed and on a ventilator after police said her ex-boyfriend lifted her up over his shoulder and dropped her on the back of her neck. 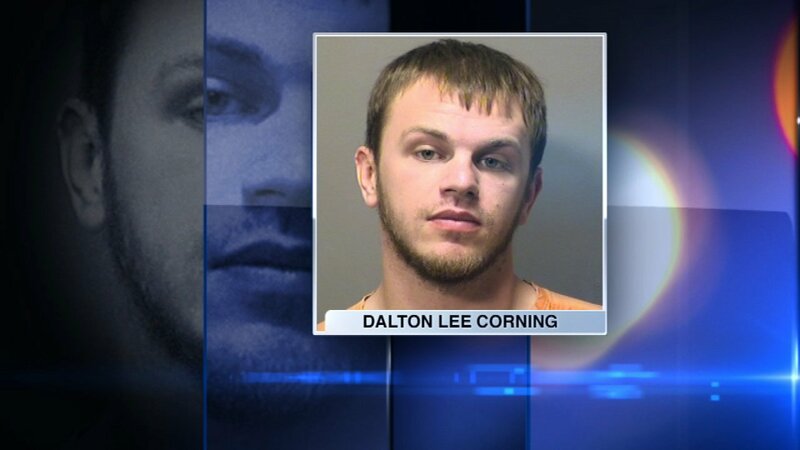 Dalton Corning, 22, of Hebron, has been charged with multiple counts of felony domestic and aggravated battery. The alleged incident happened at his home last Saturday, July 1. When the victim arrived at the hospital, doctors determined the blow broke her C5 vertebrae and left her paralyzed. The victim spent several hours in surgery on Monday. Doctors said she suffered more damage than they expected.